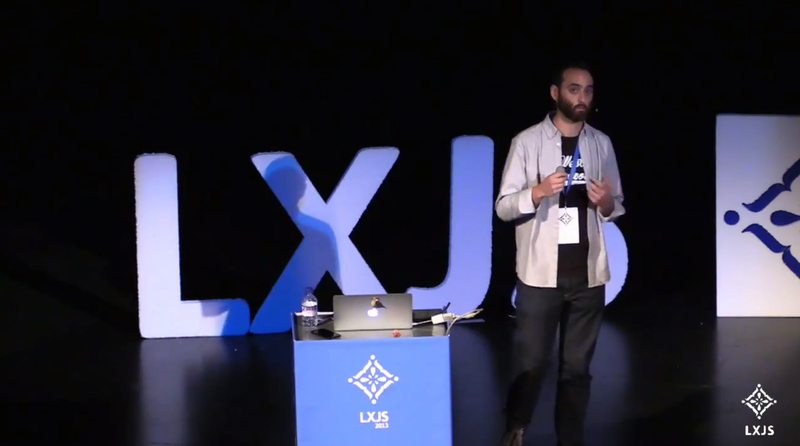 Day two of LXJS started slightly later than planned due to some of the speakers having a little bit too much fun on a boat party the night before (I would like to note that no members of the Caplin team had any fun on the boat party… and were all wide awake for day two…). This was also the day that we finally realised that someday the robots will take over and there will be no escape. 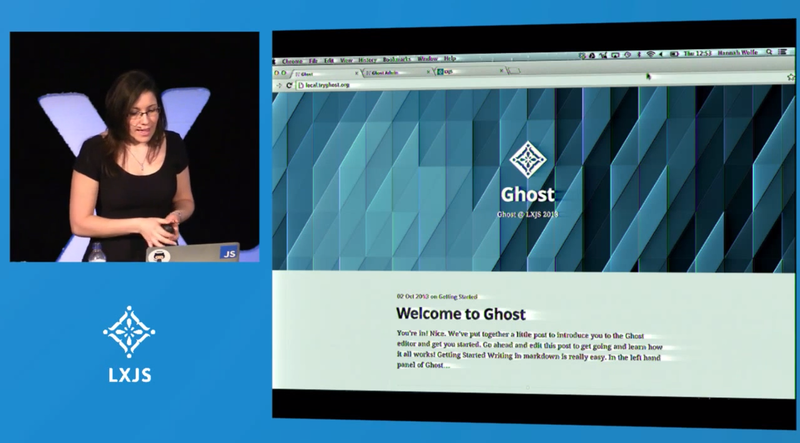 Hannah Wolfe was the next person to capture our attention with a new blogging platform called Ghost. The aim of Ghost was to create an open source blogging platform with a minimal user interface to not distract bloggers from their main aim – to blog. The project started life on KickStarter and attempted to raise $25,000; this was achieved within the first day, and by the end of the campaign it had raised just shy of $200,000. Once the funding was secured they started work on developing their vision, and we were shown a developers preview of the very minimal UI, which I must admit did look very appealing. It doesn’t have any of the usual buttons that you would expect from a platform such as WordPress, which clutter up the interface, it relies entirely on key combinations to control the writing of the blog. 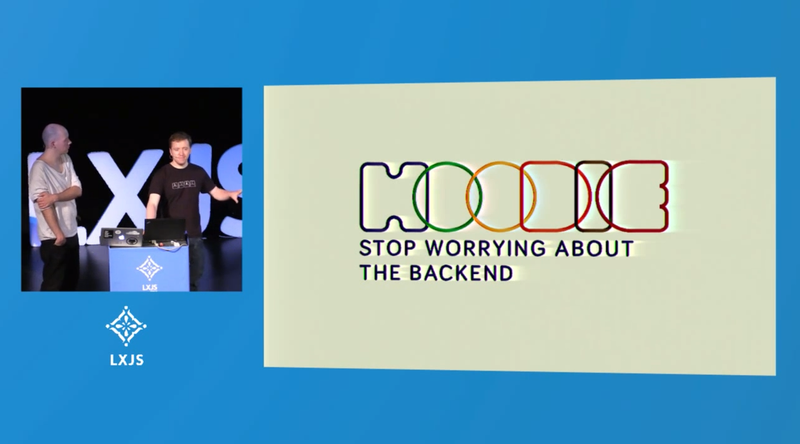 The project is being released on GitHub on the 14th of October and they should have a hosted service coming slightly later on in the year. Eventually the topic changed to robotics where some of most interesting and fun talks of the conference took place. 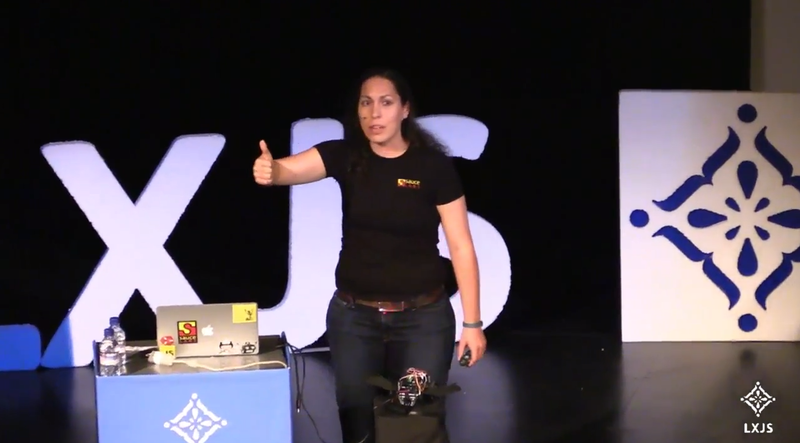 The first talk was by a very experienced and passionate lady called Raquel Valez, who had worked at some very cool places such as NASA before now working at SourceLabs. She gave a brief history of robotics showing the transition from traditional languages for programming robotics such as C, C++ and python to modern day where Node.js is used, mainly because of some of the great libraries that have arrived over the past few years culminating in a library called Johnny5. This library makes it so easy to quickly get something working with real hardware. Raquel then introduced us into her latest creation – BatBot. BatBot is a cute NodeBot that has a very simple goal to use sonar to identify objects positions and direction, which was shown to be working in a live demo. This was a great introduction to robotics and it was good to learn the history of the machines that will eventually take over. 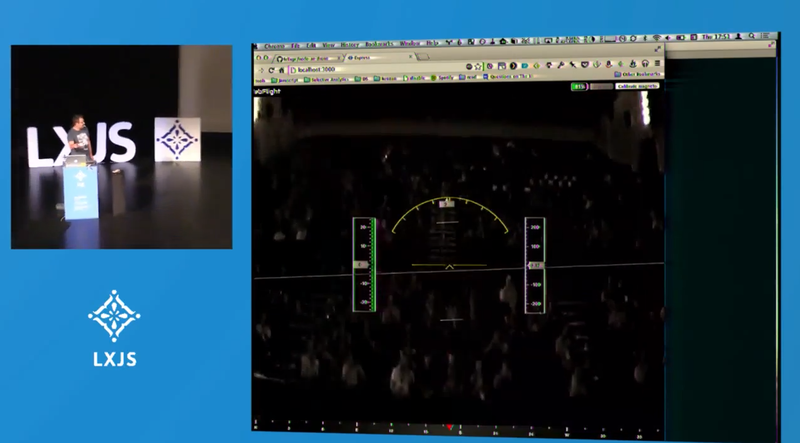 The next talk on robotics was given by Gilles Ruppert a developer who had brought along a parrot AR drone NodeCopter. This is one of the classic NodeCopters that can be purchased online and it has a huge community around it. You can also purchase spare parts for it easily and cheaply and by the look of it you made need quite a few spare parts while developing. You can connect to the NodeCopter via Wi-Fi as all commands are sent using UDP and if you using the node library ‘ar-drone’ you can control the drone with commands so simple even a child could do it. Gilles then went on to show us the various means of controlling his drone that he has developed. The first was a simple game controller that he had written in less than 200 lines of code, and basically mapped the various functions of the drone to the buttons of the controller. The second was a lot more experimental using the leap motion to lock onto his hand and through various actions the drone would move, this is also the first time that we saw the drone’s camera on the stage screen, showing us exactly which victim was in his sights. Although happily enough the first victim of the drone was only the back of the stage as the drone ploughed straight into it due to the haphazard nature of the leap motion. The second attempt was better executed and showed the potential of both the drone and the leap motion being used together with some hand gestures maneuvering the drone into some very cool 360⁰ spins. * The onslaught may be stopped by the current battery life of the beasts.